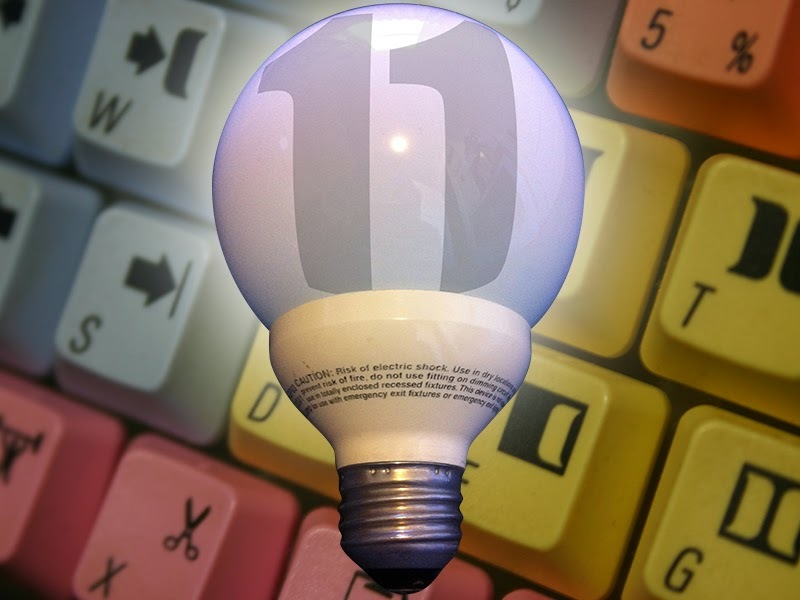 Avid Tips and Tricks that use the OPTION / ALT key. This is the eleventh Avid Editing Tips and Tricks blog from the series. This week we will discuss a number of tricks that use the OPTION / ALT modifier keys. As always, if you have any comments or suggestions, you can reach me through the comments of this blog, through Google+ LinkedIn or Twitter, using the @mBlazeVideo handle. Again, keep in mind that I work on an Avid Media Composer on the Mac. If you are using Windows, the OPTION key on Mac is the same as the ALT key on Windows and COMMAND on the Mac works like the CTRL on Windows. OPTION-OK on Project Selection - If you have a large project that was closed with any or all of its bins open. You can open the project with all of the bins closed by holding the OPTION key down when you choose OK from the SELECT PROJECT window. 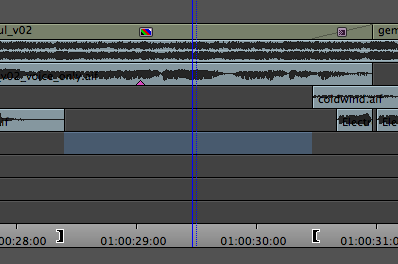 OPTION-Mark Clip - Sometimes it's necessary to mark the closest gap between two edits. If you hold the OPTION key down when using the Mark Clip feature, an IN and OUT point will be added be added between the closest two edits, even if those edits are not on the selected track. OPTION-AddEdit - Using the modifier with the Add Edit key adds edits to all empty tracks, regardless of what tracks are selected. 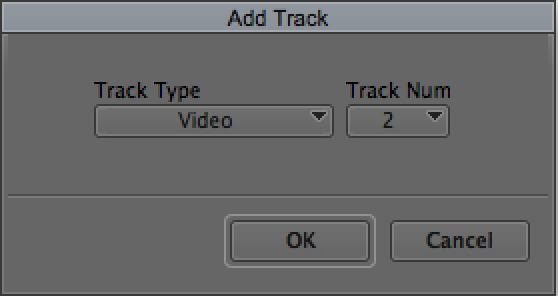 OPTION-Add Tracks - This is a trick for inserting a new video track underneath an existing composite in the TIMELINE. Holding down the OPTION key while choosing Add Video Track, allows you to insert a new track anyplace in the order of existing tracks. If you happen to already have clips on the track that you choose, it will move those clips to the next track above the inserted track. This works with audio tracks as well. In addition, if you have Add Audio Track mapped to a key on the keyboard, you can use the OPTION key to select what type of audio track you want to add (Mono, Stereo, 5.1 Surround, 7.1 Surround). OPTION-Match Frame - Using the Match Frame feature by default adds an IN point and removes any OUT points you may have. Sometimes I want to open the source clip used in a sequence, but I don't want the system to change the IN and OUT marks I already have in that clip. Using the OPTION modifier does not change IN and OUT marks when loading the clip into the source monitor. OPTION-Trim Mode - If you hold the OPTION key down when you use the Trim Mode button, you will be taken to the last edit you trimmed, no matter where you currently are in the timeline. This tip comes from a discussion started by Steve Audette in Avid Editors of Facebook. OPTION-Copy to Clipboard - Copy and load clipboard contents directly to the source monitor. I like the Copy to Clipboard feature but have often felt like it's strange to then have to go to the source and "Load clipboard contents" - it's a waste, why else would you need to copy something if you weren't going to actually use it. 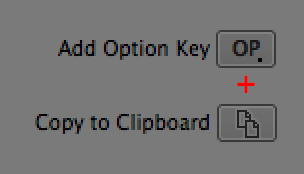 Holding down the OPTION key as you Copy to Clipboard will automatically load the media to the source monitor. Better yet, add the OPTION modifier button to the mapped key that has the clipboard and you can do the action in one step - no additional modifiers. OPTION-Clip Name Menu - By Default, when looking at the Clip Name Menu, the clips are ordered in alphabetical order. If you have a full list (20 items) and you want to quickly find the last clip you opened, hold the OPTION key and click the Clip Name Menu. This will show the list in chronological order instead of alphabetical. Thanks to Christian Jhonson From Avid Editors of Facebook for this one. OPTION-Play IN to OUT - This one has been around almost since the beginning. If you want to play a clip and have it loop continuously, mark an IN at the head of the clip, an OUT at the tail and hit OPTION-Play IN to OUT button. OPTION-Timeline View (OPTION-Bin View) - If you've changed a Timeline View or Bin View and you want to replace the current view with those changes, hold down the OPTION key as you click on the Timeline View (or Bin View) menu. The menu appears with the option to replace any of the existing views. OPTION-Drag Keyframe - Holding down the OPTION key and clicking and dragging a keyframe allows you to move that keyframe in time. This is true for audio keyframes as well as video keyframes. OPTION-Click Custom Fields - If you have custom fields in your bin and you're entering data into those fields. Holding the OPTION key and clicking on a field in the same column, will display any data that has been previously entered in and other clips. OPTION-Drag Title Effects - Want to re-use a title move or other effect properties on another title? If you OPTION-Drag a title from the EFFECT EDITOR to a bin, you save the only the effect parameters of a title without the source. This means it will not save the title text information, just the properties added to that title in the EFFECT EDITOR. The opposite works on effects applied to segments. 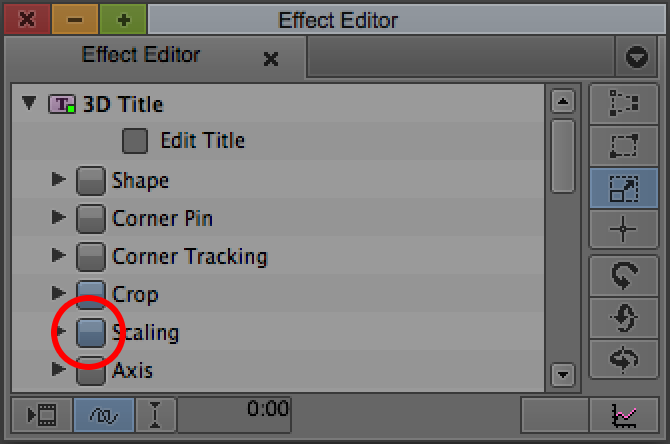 If you OPTION-Drag the effect that is applied to a segment, from the EFFECT EDITOR to a bin, you can save the effect with source. OPTION-Double-Click Title in the Bin - A quick way to edit titles, or to use an existing title as a template, is to edit the title directly from the bin. This is done by pressing the OPTION key and double-clicking the title in the bin. The title will open in the Title Tool, ready for editing. OPTION-COMMAND-Click in Timeline - Holding down both the OPTION and the COMMAND keys when clicking in the Timeline aligns the status bar with the tail frame of the segment. This is useful when adding an OUT point. OPTION-Click Effect Select Box - If the effect you're working with has a select box between the twirl down arrow and the parameter name, it can usually be reset back to its default state. By holding down the OPTION key and clicking the select box to the left of the parameter name, the parameter will return to its original default setting. Keep in mind, not all effects have this select box. 3D Effects and any effects promoted to 3D have the Select Box on all adjustable parameters. OPTION-Drag Timeline Tracks - If you want to re-arrange the placement of tracks in you timeline, holding the OPTION key and clicking and dragging a track will change its placement. This is tricky with video because layering is still based on the original layout of tracks. I use this technique to place my Timecode track between the audio and video tracks. If you hold down the OPTION key and then click and drag between tracks, you can change the height of the tracks in the timeline. I hope some of these tips and tricks using the OPTION / ALT modifier have been useful. Please feel free to contact me with any suggestions you may have for future Avid Editing Tips and Tricks.